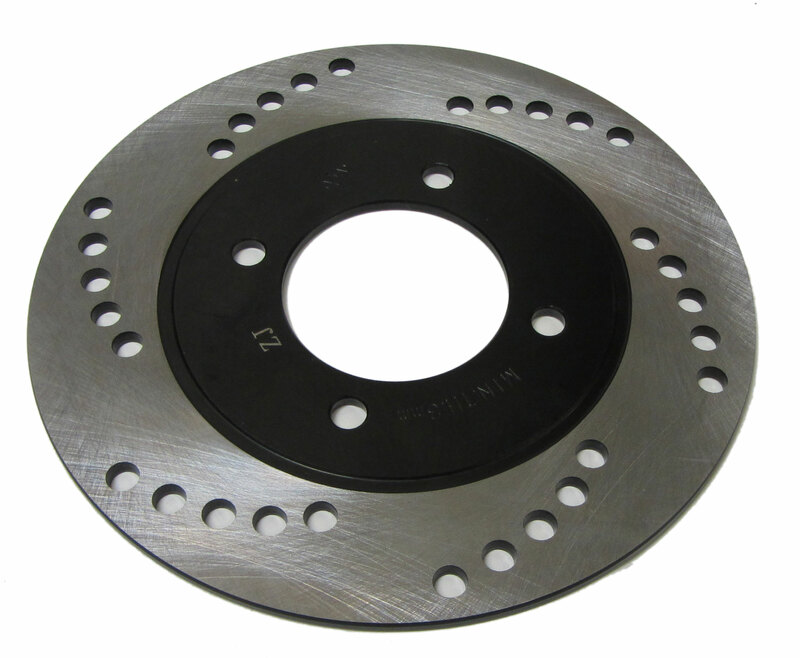 This rear disc brake is used on many Hammerhead, Twister Kart, and Trailmaster models. 7-1/4" (185mm) across and roughly 4mm wide. The center hole diameter is 2-9/32" (58mm). (4) 3/8" bolt holes on a 3-1/8" bolt circle.